Kenneth Wishnia's historical mystery takes place in late 16th-century Prague, a setting that has inspired several other novelists (Frances Sherwood's The Book of Splendor and Lisa Goldstein's The Alchemist's Door are also set there). Perhaps the fascination is thanks to its ruler, Kaiser Rudolf II, whose support of fine art and scientific discoveries led his empire into the scientific revolution. He also took an interest in alchemy and astrology and experimented with both - some may say too much. In Wishnia's The Fifth Servant, the Jews of Prague find the city a contradictory mix of tolerance and repression. While Rudolf has granted them his protection, they're forced to live in a walled ghetto and wear yellow badges whenever they leave it. Rumors of their wealth and magical practices are pervasive, causing Christians to eye them with suspicion. And this, in a crowded, multiethnic capital still reeling from the Reformation. While Catholics view the Jews as misguided, they see Protestants as heretics. The entire plot spans a three-day period, from Passover to Easter Sunday, in the year 1592. Benyamin Ben-Akiva, a Talmudic scholar, has just arrived in Prague from rural Poland. An outsider with no connections, he's very grateful to be offered a post as shammes, or sexton, at the Klaus Shul (synagogue) under the great Rabbi Loew. He also hopes to reunite with his estranged wife, who has returned to join her family in the ghetto. After the butchered body of a young Christian girl turns up in a Jewish merchant's shop, Christian mobs accuse the shopkeeper of killing her for her blood - the classic lie, the blood libel, that has followed Jews for centuries. Benyamin believes him innocent. The sheriff allows him three days to uncover the killer, or else everyone in the Yidnshtot (Jewish town) will be held responsible. Benyamin approaches his task with intelligence, wry humor, and chutzpah, and he'll need all three. His down-to-earth, slang-filled voice enlivens the narrative; that, plus his knowledge of Christian doctrine, surprises officials who are all too ready to dismiss him. Key to his investigations is the help of other freethinkers like himself: a Christian butcher's daughter who works as a Sabbath maid to the ghetto's mayor; a Bohemian herb-woman; and his supervisor Rabbi Loew. The novel is a sometimes uneasy balance of entertainment, enlightenment, and erudition. Wishnia's knowledge of the city, its geography, and the literature and beliefs of its 16th-century residents gives his book a strong sense of period. All the content on Talmudic scholarship, Jewish folklore, and German and Yiddish vocabulary can be hard to work through, but I felt the effort paid off. The map at the beginning helps, as does the glossary at the end. Benyamin's can-do attitude and amusing remarks keep the pages turning, and the way he and Rabbi Loew use the words of appropriate Jewish sages to justify unorthodox decisions (it's their bad luck to have to work on the Sabbath) is a clever touch. Finally, the themes of religious tolerance, the courage to explore others' beliefs, and the importance of opposing censorship - which are all interlinked - have clear relevance for today. I started The Fifth Servant wondering if it would be a book I admired more than I liked, but came away feeling sincerely impressed by the way it was all put together. The ending was satisfying and appropriate. Well done. The Fifth Servant was published by Morrow in March 2010 ($25.99, 387pp). 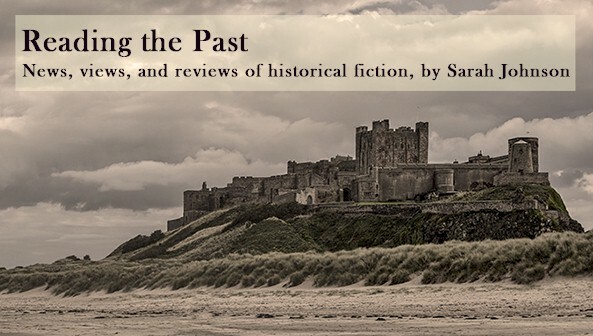 If you enjoyed this, you may also enjoy The Spanish Doctor, by Matt Cohen, about a Jewish surgeon in Toledo, Spain circa 1400, as the era of Moorish rule, with its tolerance, is ending, and the era of the Inquisition is beginning. Cohen, who died a few years ago, is an award-winning Canadian novelist, though I believe this is his only work of historical fiction. I think it's just been reissued in paperback. Thanks for the recommendation, Heather. Novels of Jewish life in medieval and Renaissance Europe always interest me. I think I own a copy of The Spanish Doctor though haven't read it yet; I'll move it up on the TBR. I hadn't realized Matt Cohen was a well-known Canadian author. Sarah, this one sounds fun, thanks for writing it up! I have been hesitant about reading this novel for that very reason (and recently finished one that unfortunately can be summed up precisely that way). But you have a way of putting your finger on exactly the issues that are decisive factors for me ("voice enlivens the narrative...uneasy balance...effort paid off...the courage to explore others' beliefs...ending was satisfying and appropriate"). I am going to dig this one out of my "later, perhaps" stack. I really love your blog, Sarah! Thanks, Elena, Carrie, and Danielle! It was a fun read, though unsettling as well, given the subject. Benyamin has the right attitude to get the job done, but the author makes it clear that the Jews didn't have it easy. They're tolerated as long as they're needed but are the automatic scapegoats when things turn badly. There were times when I wasn't sure whether I'd continue, even though I'd been highly motivated to read it. The setting sounded totally fascinating; I'd wanted to visit Prague during a trip to Europe last year (it didn't work out, unfortunately) and I have a family connection to the Jews of Eastern Europe, so the desire to learn more was there. Benyamin was witty and clever enough to hold my interest, fortunately, and a secondary plot involving the mayor's Sabbath maid kept me hooked. I think it will be a novel I appreciate even more, the longer I think about it. I just love that phrase highlighted by Danielle - "a book I admired more than I liked" - now I know how to articulate what I've often thought! Prague is a fascinating city, and I have family connections to Bohemian Germans from that area (no wonder I love Dvorak). Noah Gordon has written novels set in this time period, among them THE LAST JEW and THE PHYSICIAN - perhaps you've read them. One of these years I'll make it to Prague. German car rental companies didn't want us taking a vehicle over the border, so next time we'll have to take a train. I've heard of both Gordon novels though haven't yet read either one. With The Physician, I admit to being put off by the protagonist's name, which doesn't fit the period at all (19th c would be closer).